The LED display was designed to create the perfect stage. In recent years, with the emergence and development of LED technology, stage lighting also LED to the age, stage design and apply the LED quickly into the stage design and scenery, LED weaving in the world all kinds of stage performance. 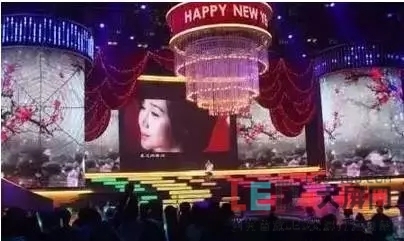 The design of the large screen, which usually appears on the party stage, is basically divided into three categories. According to the frame of the stage, the LED screen is the main body, which sets the stage of the light around the screen of each unit. his stage are common, set the stage the overall framework, the deep type stage screen strewn at random have the suspension framework in this stage, between the screen and screen hung up the lighting effects. Is the screen so the arrangement of the depth of strewn at random have send, the disappearance of the stage to the distance, make the whole picture of the depth of field, have very strong perspective, combined with so much to light hanging on the edge and play space, the stage is a good atmosphere and move feeling, also express the theme of the party. However, the structure of the stage will appear monotonous and inanimate. The big screen as the stage design is all, the big screen design is the background, the side screen, the space time in the scene all makes the big screen complete, the actor does the unreal performance. This is the kind of situation that is used in a lot of places, and of course there are advantages to doing it, saving things, a picture, and telling the story in the plot. A video screen gives the whole show a sense of form, with a big screen and a huge amount of digital dancing. 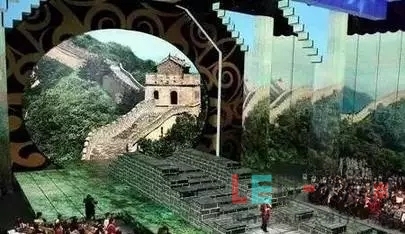 When it comes to such a stage forms are going to have to mention the CCTV Spring Festival gala, as early as in 2012 when the entire stage, has adopted the screen box set, big screen in the small screen can also lift alone. When programs need to mountain stage mesa small screen through their respective lift to get along with the shape of the mountain again on the basis of this, plus the stereo image of the mountain, the background scenery rendering mountains as the background, the configuration of large screen display on top of the sky, plus video production team video on the image of elaborate processing, group established a three-dimensional lifelike, the ideal of the virtual space, and space image can be a sport. The application of dynamic LED screen enhances the stage effect and the sense of motion. The dynamic LED screen can move up and down according to the specific content of the performance, which will greatly improve the performance of the program and enable the audience to immerse themselves in the scene. Visually, the stage is both integral and atmospheric. But the lack of a little is left to lighting design play space is too small, because is a box set, to the position of the lighting installation is extremely limited, so on the lack of atmosphere, the environment light, make stage is lack of the atmosphere of the scene, it is hard to present the perfect stage effect. As the "center" of the stage, led large-screen screen is used to create 3d stage scenery with the help of projection. 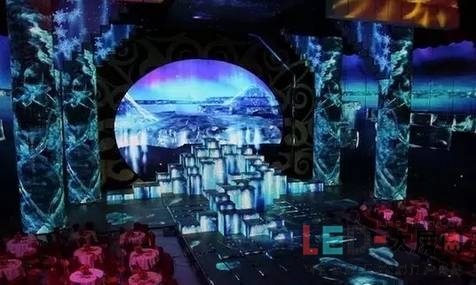 2015 CCTV Spring Festival gala, stage design clever, make the LED screen with one integrated mass, in line with the party theme, and stage in the form of feeling and stereo sense is very strong, increased the elements of modern science and technology, large-scale engineering, application of hologram projector, constantly bring new to the audience on the vision. Also give the light enough space, such a stage is consistent with the traditional aesthetic concept, whether from the near view is very real, present a more perfect stage effect. Compared with traditional digital dance technology, LED technology and video digital dance, the biggest feature is the creation of the second space. Through a variety of unique three-dimensional technology, the director through LED screen to create a virtual visual space, this space is combined with the reality on the stage space, can greatly broaden the performance of visual space, let the audience feel sense of spatio-temporal crisscross, present abundant stage visual effect. But in fact, most of the creative team in the use of LED screen, still sees it as the traditional two-dimensional mural, rather than use it as a three dimensional space to deal with, finally present the stage of visual effect, not only the maximum play to the advantages of LED, also lost the traditional digital method of making the choreography features, do more harm than good. Stage, of course, the style is various, every times has different forms of stage performance, but the LED is undoubtedly has become a the trend of The Times, in every corner of life everywhere, on the stage is indispensable. The application of science and technology is not the only means, the key is what we can use to achieve the ideal stage effect. Previous： [big rescue] choose the three big mistake of liquid crystal display screen? Next： Compare the performance of small screen phones to large-screen TV oleds.